We provide the highest quality care for families and athletes of all levels. Relief from chronic or acute back and neck pain or spinal injury. 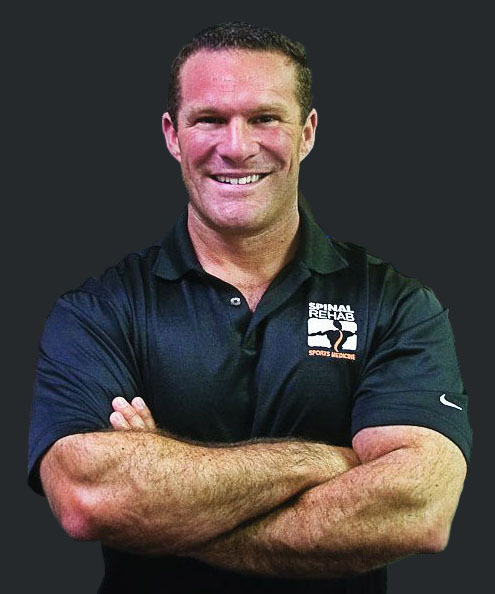 Hear why the nations top collegiate, pro and Olympic athletes trust Dr. Bob. We are the premier sports injury rehabilitation and chiropractic clinic in Austin, Texas. Our sports medicine doctors combine the latest sports injury rehabilitation treatments and technologies with advanced chiropractic therapy. We help athletes of all levels quickly and successfully rehabilitate from sports injuries as well as chronic or acute back and neck pain conditions due to a spinal injury. Led by Dr. Bob Meyer, our experienced and friendly team of sports medicine doctors provide expert diagnoses and develop safe and highly effective custom treatment models designed specifically for your unique condition. Our treatment programs accelerate the natural healing process while increasing strength without the need for surgery or prescription drugs. Dr. Bob Meyer has over 25 years of experience successfully treating the nation’s top athletes in all major sports at the University of Texas and at the Spinal Rehab and Sports Medicine clinic. We utilize the latest research and most effective techniques and treatments in order to provide the best care possible for our clients. We use strategies that are designed to help you return to your athletic endeavors quickly, and at peak performance. Our state-of-the-art facility serves patients from our pro athlete regulars to everyday Texans. Our mission is to always be the leader in sports medicine technology and research so that we’re able to provide the highest quality care for families and athletes of all levels. Our team focuses on long-term solutions to sports-related injuries as well as chronic and acute back and neck pain conditions due to spinal injury or stress. We believe all people should have access to the same type of care the pros receive at an affordable price. Our goal is to restore full mobility to our patients and to help them achieve long-term improvement and health. We employ advanced chiropractic techniques combined with the latest sport medicine technology and modalities to ensure our patients recover faster and stronger from sports related injuries. Can I avoid sports injuries? It’s best to warm up your muscles with gentle exercise, like walking, for about 10-15 minutes. Keep yourself hydrated by drinking water before, during and after exercise or playing sports. It’s also important to cool down after activity. Shin splints are tiny tears and inflammation in the muscles surrounding the shin bones. They’re commonly seen in runners who train too hard too fast, without gradually ramping up their fitness levels. Shin splints are also common if you have flat feet or wear shoes without sufficient support in the arch. What are the most common sports overuse injuries? The most common sports-related overuse injuries vary depending on the season. In the spring we see running-type overuse injuries from track and field like shin splints, patellar tendinitis and achilles tendinitis. With baseball and softball, we see a lot of biceps tendinitis and rotator cuff tendinitis and more shoulder overuse injuries. In the fall we see running injuries with cross-country athletes. A lot of football quarterbacks get shoulder-related problems. A big toe seems like a little thing, but a sprain to the ligaments that connect the big toe the foot is a big deal for an athlete. Turf toe happens when the big toe gets bent too far up or down. This often occurs when an athlete jams his toe or repeatedly pushes off a hard surface. We specialize in treating patients with acute and chronic back and neck pain conditions resulting from spinal injury and nervous system abnormalities. Is it alright to see a chiropractor if I'm pregnant? Halo is the latest in sports medicine technology. A natural treatment for chronic and acute pain. Halo® significantly reduces stress & anxiety and accelerates the bodies natural healing process.